We interview Sarah Smout, aka ‘CH Blondie’, a name most of you in the Chat Host fraternity or as regular player will recognise from her time working exclusively at Tidy Bingo. The interview took place over Skype messaging with James from WhichBingo asking the questions. James: Before becoming a Chat Host, were you a regular bingo player? Sarah: Yes I was one of the regulars and I am still in contact with some of the players from back then! I used to be obsessed with bingo when I was young and even had my own bingo kit when I was about 10. Unfortunately I never went to bingo halls as I had no one to go with. I did like to play on the pier near where we live and also when we were on holidays at the arcades. James: Just exactly how did you get into Chat Hosting? Sarah: I got into Chat Hosting about 10 years ago – it was a case of being in the right place at the right time. I started playing at Think Bingo and realised I really enjoyed the chat side so i cheekily emailed in asking for a job. As it happened they were looking so that’s how it all began for me working as a Chat Host. James: Do you work from home as a Chat Host, or are you office based? Sarah: I am very lucky to work from home – so no icy early starts for me 🙂 But, working Saturday Nights or over the Christmas period when all your family and friends don’t means you do have to compromise your social and family time. My children are now used to being home at weekends if I have a heavy shift pattern or in the Summer holidays when their friends are at the beach and I am working. However, being able to be here from my kids at all times is a great bonus and the work patterns I have at the 15 Network vary so I can still find time for family and friends. For example last Saturday I had 9 hours of shifts. I worked 10am-1pm then we had a mad 3 hours of dining table ping pong, magnetic darts, housework, food and then I was back to work for 4pm-10pm, your family and home life doesn’t stop because you are working. James: Could you please describe your typical working day as a Chat Host. What are some of your tasks? Sarah: First, I would need to do some prep for the chat games and tournaments I’d be hosting during my shifts. All the games on the 15 Network are question based so these questions need to be sourced. During the games we ask approximately 4 questions an hour, so for a 3 hour shift I would need to prepare 12 questions and for a 6 hour shift I’d source 24. For our tournaments it could be more,for example, last Saturday evening I hosted a 2 hour Countdown style tournament for which you need 16 questions. When I start a shift I need to set my welcome message and chat game. I then answer questions from the players as needed, and chat along with them generally following their theme of question. James: Do your shifts vary? Sarah: Yes, Sunday I worked 10am-1pm and 7pm-12am, this Friday I am working 7-10pm – so I can work all sorts. We have no set breaks on our shifts but there will be times when you need to be away from the screen for a few minutes and we let our players know, so that is usually fine. 99% of the time though, you are at your screen, you definitely need to get up and stretch after a 6 hour shift! James: What kind of equipment and software do you use for the job? The main requirement though is a good computer/laptop and reliable internet connection. 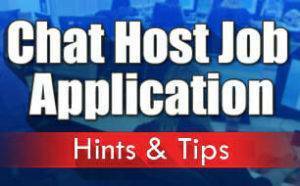 James: What are the positive and negative aspects of the Chat Host job? Sarah: I think working late at night is the hardest part – sitting at your screen at 11.30pm at night (or later) when you feel the whole world is asleep is quite lonely at times. That’s true for any job where you have to work nights though so I am sure many people would understand that. Apart from being able to work from home, for me it is the chat aspect of the job I love the most. I have formed great relationships with hosts I have worked with (and still work with) and also friendships with players over the years. My children think I am crazy sometimes when I am laughing away or talking to my computer screen ( I think all hosts do that!). My job can be really fun at times and a proper giggle – how many people are lucky enough to be able to say that! James: Do you find the support of other Chat Host’s an essential part of the job? Sarah: Yes it really is. It’s great if you can’t answer a specific question. Someone will always know the answer! I have become good friends with some of the hosts over the years. It is something you miss working from home – no work colleagues to have a natter with, so this is the next best thing. James: Do you get regular support from your management? Sarah: Yes, our management are contactable on live chat, email and mobile at all times – the support is really great. I have met Ben Starr, who runs 15 Network, on a bingo meet 18 months ago and I have a great relationship with him. We can ask our team questions at any time and they are great with their help. James: Tell us about your role on Tidy Bingo. How does hosting on the Tidy Bingo unique room differ from hosting on the networked rooms? James: Can you give us an example of the unique chat games you play in the Tidy Bingo room? Sarah: We play a 2 hour tournament on Tuesday evenings called Bingo Poly. This game is loosely based on Monopoly and players get points for the numbers they bingo on. I have a spreadsheet with all 90 numbers and the points they are worth, they grouped in colours ( like Monopoly sets) and extra points are won when you complete a set. James: Do you have any advice to aspiring chat hosts looking to get work in the industry? Sarah: A knowledge of bingo and bingo chat rooms would be important, a lot of the phraseology used is very unique and can take a while to get used to (the amount of times I have explained WTG and LOL). Basic Computer knowledge and internet skills are useful as players ask questions all the time about problems they have that can be fixed in computer settings. Finally a good sense of humour is a must! James: Are the sites you host on mobile-friendly? Sarah: The software is becoming more mobile friendly – it is harder for players to use chat rooms on a mobile, due to screen size for one. I have found player’s chat less when playing on mobiles – mainly because they are on the go. James: Do you use chat art? Sarah: Yes I do – the hosts I work with and I share a lot of our creations between us, and I use emojis/emoticons to do them. They take a bit of practice but the players love it when you have a new one. I especially like making ones for Halloween and Christmas. Some have been circulating since I began 10 years ago! James: Do you see Chat Hosting continuing for you as a career? Sarah: I would like to hope so – the industry is always changing and moving forward so I hope the role of chat host continues to be an important one. 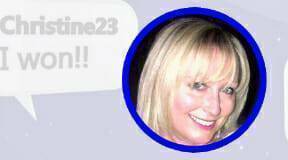 I love being part of the online bingo world and hope to work in it for many years to come. There is loads of really interesting information on this page so you can always click here to go back to the top and read it again. 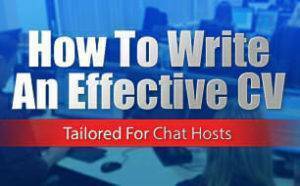 Want to know more about becoming a Chat Host? 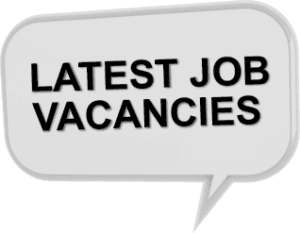 Why not explore our Chat Host content below, or check out our Chat Host job page for the latest vacancies?